Little league head coach Wayne Savage is at the top of his game. A big personality with a bigger ego, he’s both respected and reviled by a good many players, parents and coaches. But love him or hate him, Coach Wayne is a winner, his players are winners, and anyone who has anything negative to say about it is clearly a loser. But that was yesterday. Today Wayne Savage is dead at home plate. Now the team must scramble to keep it together as one assistant coach makes a play for the widowed wife and the other guns for the head coach cap, all while a murder investigation points fingers at everyone. 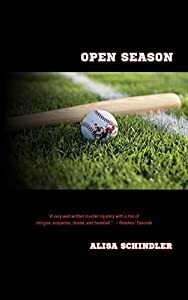 With foul play, major league scandal and a glimpse into the inner politics of small town sports, little league baseball has never been less appropriate for 12 year olds. 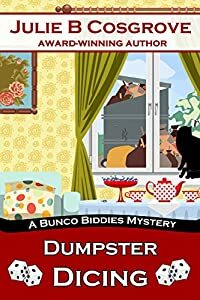 When the battered body of a teenage girl is found in a dumpster, Lieutenant Jo Riskin is called to take the case. Investigating with her partner, Detective Lynae Parker, Jo uncovers secrets, loyalties, and ambitions that give motives to a surprising number of suspects , including a boyfriend from the wrong side of the tracks. While immersed in her current case, Jo is battling her own personal demons. After two years, she is still grieving over the loss of her husband, who was killed in the line of duty. New information that could help solve his murder, and let her move on with her life, is within her grasp. Barricading her heart, Jo is determined to solve both cases and bring the killers to justice. An award-winning, deepening murder mystery where nothing is as it seems. When the founder of a young nanotechnology startup company in Merida turns up floating face down in the mangroves on Yucatan’s north coast and the company’s revolutionary agriculture product prototype is discovered missing, Inspector Marco Nayal of Mexico’s Federal Police finds himself entangled in a web of lies and deceit. 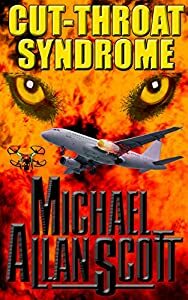 Marco finds himself up against the Comisario, his results hungry and politically sensitive boss, a hostile US company, a Guatemalan Kaibil Special Forces deserter and an unidentified, mysterious and lethal third party. ˃˃˃ Wondering why somebody kills this many people over rice and beans, Marco suddenly realizes that the prototype is not what they are told. 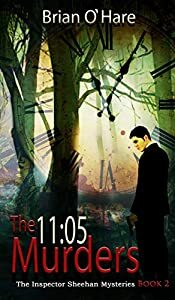 But when he discovers the terrifying truth, Marco must battle foreign assassins and a nano-tech weapon with a deadly payload in the fight of his life. Written by former Royal Norwegian Artillery veteran, Preben Ormen, White Jaguar is a swirling thrill ride through the labyrinth of a major federal investigation and a conclusion that no one will see coming. 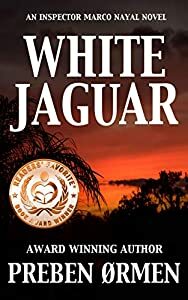 White Jaguar won the 2018 Bronze Medal for Fiction - Mystery - Murder from Readers' Favorites. Scroll up and grab a copy White Jaguar today. If tough guys like Reacher, Bourne, or Bosch get you going, wait until you meet Lance Underphal and crew. When a drone packed with explosives gets sucked into the engine of a Chinese airliner, a hacker cult claims responsibility. The next day, Lance leads a homicide detective to the headless corpse of an unidentified teenager. Throw in an ex-SEAL P.I. tracking a CIA informant gone rogue and it gets interesting. Cut-Throat Syndrome is a new breed of mystery-thriller, the latest addition to the stand-alone novels showcased on NBC's Daytime. Tangled in international intrigue, this dark adventure delves into a disturbing world ripped out of tomorrow's headlines. A little too close for comfort, it's not a guessing game for the faint of heart. Tonight, treat yourself to something new and different. See why readers keep coming back for more. For a FREE E-book offer, download the sample or use the "Look inside" feature. Bobby Ress is a cop with a simple life. He believes in making a difference. He loves his wife and his daughter. Then people start dying, a lot of them, in horrible ways. It's a case like no other. And step by gruesome step the simple, true things Bobby knew to be right and good begin to make less and less sense. Because Bobby is learning about pain. He doesn't like to admit it. He doesn't like to know, but he's slowly realizing: If you hurt someone bad enough for long enough then there's nothing, absolutely nothing, they won't do. A baby is murdered on New Year’s Eve 1999, her tiny body abandoned in a Dumpster. Twelve years later, while locked in a vicious legal battle to regain custody of her own daughter, reporter Samantha Church stumbles across the infant girl’s headstone at Golden Cemetery. Sam is immediately intrigued by the plea for help from the Grandview Police Department on the child’s gravestone. 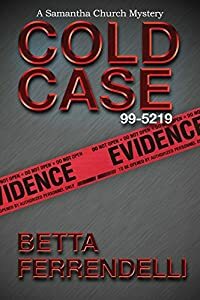 Sam approaches Grandview police detective James Page, the original officer in charge of the case, but without new evidence, there is nothing Page can do to reopen the cold case and bring the killer to justice. 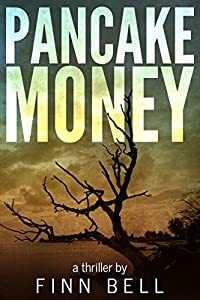 As Sam digs deeper into the baby’s murder, powerful businessmen, a former Merchant Marine and even a strange and mysterious psychic illuminate her path. 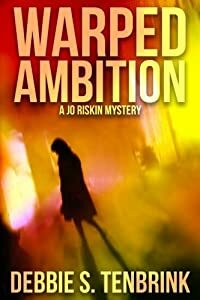 Though the further she goes and the more dangerous and deceiving her journey becomes, she refuses to give up and let this infant girl’s murder go unsolved. Cold Case No. 99-5219, is the newest fast-paced novel in the award-winning mystery series featuring reporter Samantha Church and the rest of the great ensemble cast of characters who will keep you coming back for more. 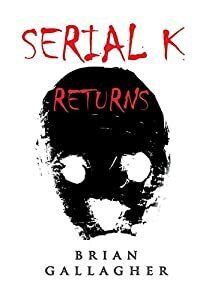 Craig Breedlove, the serial killer who survives in Serial K, is back at it. This time he has a new target. In fact, two new targets. A victim of priest molestation at age seven, he puts his sights on abusive priests who were never brought to justice. The FBI team of Agents Lea Pucci and Ryan O'Callahan, now divorced but current lovers, are back on the trail. As they close in, the killer turns his sights on his pursuers. As the chase continues, the body count rises. Fear grips the public. Many will die, but who survives? Sabre’s shock at his death is only surpassed by an attempt on the life of Dr. Carolina Heller, a psychologist she employs on a regular basis. Sabre now fears for her own life. 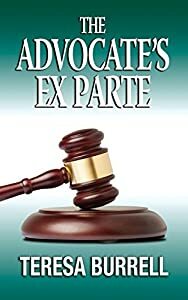 Sabre enlists her private eye JP, and they begin to comb and scrutinize her cases, searching for connections between the two crimes. But Sabre’s life is in danger from someone much closer to her. Sabre and JP’s roads diverge. While JP infiltrates a twisted world of greed and corruption, Sabre is caught up in a domestic crisis fueled by obsession. As each is forced to fight their own battles, the question soon becomes, can they find a way to save one another?